Understand the need for Reconstruction following the Civil War by viewing photographs of cities, farms, plantations, railroads, and bridges after the Civil War. 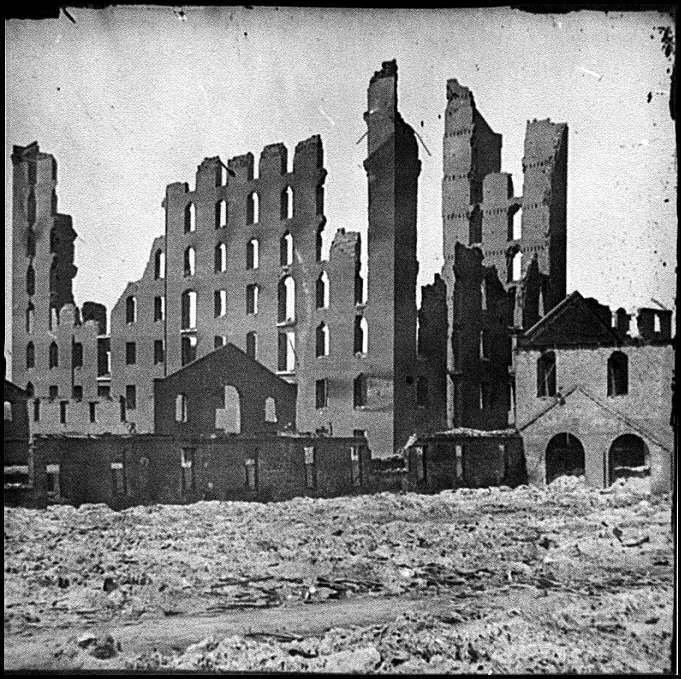 Excerpts from April 1865: The Month that Saved America, describing the fall of Richmond. A textbook selection which describes the fall of Richmond. This unit uses Virginia by Dr. Candy Dawson Boyd et al., published by Scott Foresman, 2003 (pp. 320-327 include vivid accounts of the destruction of the city and the reactions of Richmond residents). Read aloud The Fall of Richmond (pages 106 – 120), from April 1865: The Month That Saved America. While reading the students will be drawing what they visualize based on the author’s description. Share drawings and comments. Share pictures of ruins with the whole group. These may be photocopied, or displayed on the television or SMART BOARD depending on available technology. Brainstorm a list of problems people living in Richmond faced at this time (e.g. where to find food, shelter, medical help, money, how to travel, coping with looting and hard feelings on both sides). Who needed help after the Civil War? Who was available to help? How could needs be communicated to those who could help? Teams will be grouped heterogeneously.